A campaigner who has been told her house is worth less than a loaf of bread will today try to show the man in charge of the nation’s sea defences the true human cost of the government’s coastal policies. The bungalow Jane Archer and her partner bought as a happy family home 21 years ago is still 60m from the clifftop, but is now worth just £1. 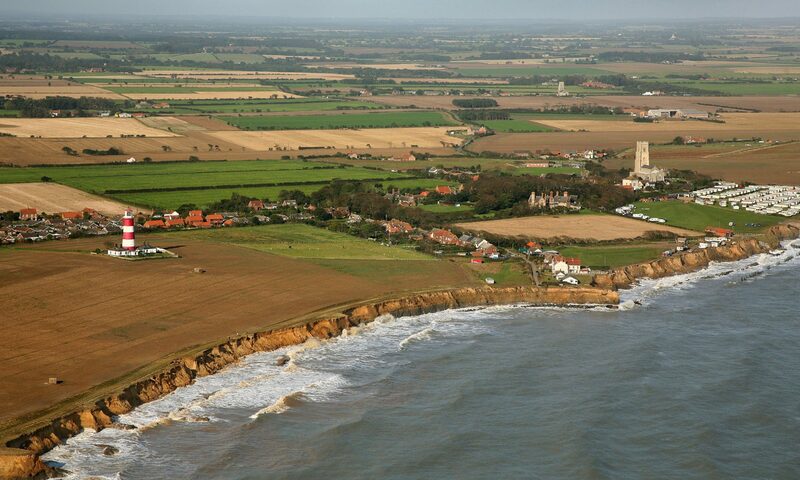 Today when environment minister Phil Woolas makes a fact-finding visit to north Norfolk over erosion and flooding issues she will be among the people keen to show him the impact of the government policy of abandoning sea defences without any compensation. Mr Woolas is visiting Norfolk following the concerns of hundreds of other people living near the coast and in low-lying Broads villages which are vulnerable to erosion, and a controversial Natural England option of allowing six villages and 25 sq m of countryside to flood in the future because it is too difficult and costly to defend. After seeing reef defences at Sea Palling he will attend a meeting with representatives from a range of communities, including Ms Archer, who is a founder member of the Coastal Concern Action Group formed in her home village of Happisburgh in a bid to fight government “managed retreat” policies and battle for a fair deal for those affected by it. He was encouraged that environment officials seemed more open to discuss impacts on communities, but remained concerned that the Treasury restrictions could hamper funding, and that there was a need for urgency to help other people like Ms Archer. She and partner Chris Cutting bought their Beach Road bungalow for £20,000 in 1987, when it was 400m from the clifftop and there were no problems over a mortgage and survey. But a road and several houses have been swallowed up by erosion in recent years, after the government refused to fund the replacement of aging sea defences, and promoted a policy of managed retreat, which abandons long-standing defences everywhere except the main resorts. So when the couple tried to get a bank loan to expand their motor engineering business, seeking to use the house as security, the valuer’s report highlighted “chronic coastal erosion”, refused the loan and valued the bungalow at a paltry £1. The couple thought the house might be worth about £50,000-£60,000 when they applied for the loan nearly two years ago, when a nearby cottage sold for £89,000 and other three bedroomed rural homes were selling for up to £200,000. “We were angry and frustrated when we told it was worth £1,” said Ms Archer. “We are stuck here. We are worse off than first time buyers, because we only have another 15 years of earning towards a mortgage before we retire, and we don’t want to rent and pay out again for housing having already paid off our existing mortgage. “It is so unfair, because when we came here the policy was to maintain the defences,” said Ms Archer. Action group co-ordinator Malcolm Kerby said tackling that unfairness was one of their key aims they would outline to Mr Woolas today. “Forget all the fancy technical talk. This is the real effect of these policies on families. “The government suggests people should move away from coastal areas because of climate change, but how can they if their home values are being hit. He suggested that properties affected by flood and erosion risk should be underwritten by the government so areas were not blighted, leaving properties and communities viable. Adding the real value of buildings into the equation might also mean it became a cheaper option to protect rather than abandon.